India and the Hong Kong Special Administrative Region (HKSAR) of China signed a double tax avoidance agreement (DTAA) on March 19, 2018, after agreeing to a framework in November, last year. The DTAA, titled the ‘Avoidance of Double Taxation and the Prevention of Fiscal Evasion’, comes after years of negotiation, and was signed into effect by India’s ambassador to China, Gautam Bambawale, on behalf of the Indian government and Hong Kong’s Financial Secretary, Paul Chan Mo-po. 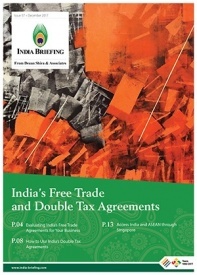 The India-Hong Kong DTAA holds important tax implications for international businesses operating in both countries. 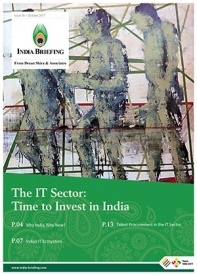 It will also benefit trading companies that do not have a permanent presence in India but service to an India-based entity. Non-resident Indians (NRIs) and foreign nationals doing business in India make profits in India as well as in other countries of operation. Such businesses often have to pay tax twice on the same source of earned income or profit in India. As a general principle, international businesses in other countries are taxed on their territorial income, which is the income generated within the territory of that country. 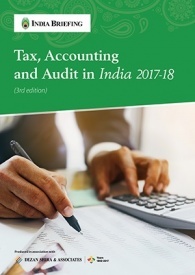 India, on the other hand, imposes a corporate income tax on the worldwide income of business enterprises that have a permanent presence in India. As a result, India-based multinational companies deriving income from other countries face double taxation on their earned income. 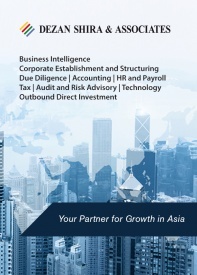 A DTAA creates a fair and certain tax environment for business activities carried out between two countries. It prevents international businesses from paying tax in the country where the income or profits are generated. Or, in some cases, it allows the country to deduct tax at source, and offers businesses a foreign tax credit to reflect that the tax has already been paid. The methodology for double taxation avoidance, however, varies from country to country. India has over 86 DTAAs in force with various countries, which provide tax relief on transactions carried out between India and those countries. Each DTAA specifies the agreed rates of tax and the jurisdiction on the specified types of income involved. 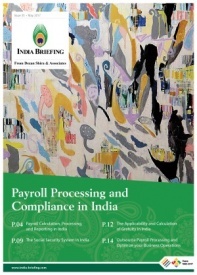 The India-Hong Kong DTAA offers similar provisions. 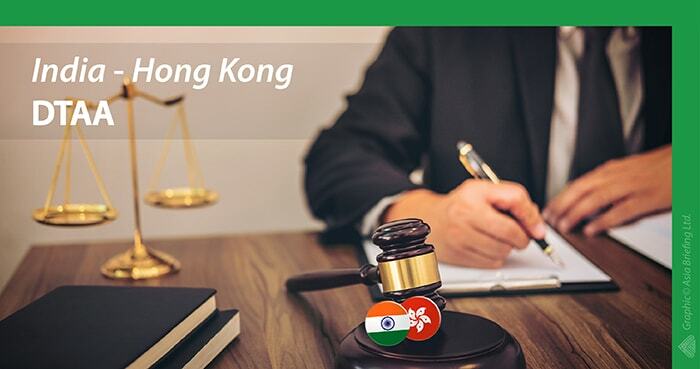 The DTAA will give protection against double taxation to over 1,500 Indian companies and businesses that have a presence in Hong Kong as well as to Hong Kong-based companies providing services in India. It will provide clarity to businesses regarding tax rates and tax jurisdictions, as they will now be taxed in only one of the signatory countries. This will allow investors to be more confident about their investment decisions. In certain circumstances, credits for taxes paid on the double-taxed income that can be encashed at a later date. Investors will benefit from a lower withholding tax of 10 percent on interest or royalties – provided they prove that their transactions are not designed specifically to avoid taxes. 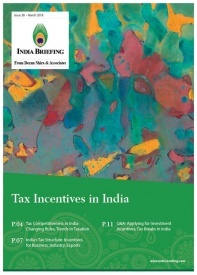 The India-Hong Kong DTAA also provides for capital gains taxation of indirect transfers – gains from the sale of shares of a company deriving more than 50 percent of its value from property situated in a country will be taxed in that country. Chris Devonshire-Elllis of Dezan Shira & Associates comments: “Hong Kong has a very well established Indian diaspora that has been there for decades and has much wealth and business influence within the territory. It is a very positive sign that the DTAA has been agreed as businesses in both India and Hong Kong have finally been given better financial incentives work together and increase trade and prosperity in both their respective areas”. Editor’s Note: This article was originally published in December 2017, and has been updated as per the latest developments.